Wednesday Church School: 3:45-5 p.m. Faith Adventures (Confirmation) Wednesdays, 4-5 p.m.
WELCA Evening Bible Study, 2nd Thursday each month, 6 p.m. Scholarships are available for members of the congregation who are attending college, lay school, or other higher education. Backpacks Program - filling backpacks for local needy school children with food for the weekend! See pictures on Facebook! Caritas... offers financial assistance with utility bills, gasoline, food and clothing vouchers, and helps navigate the "system" to meet other needs. 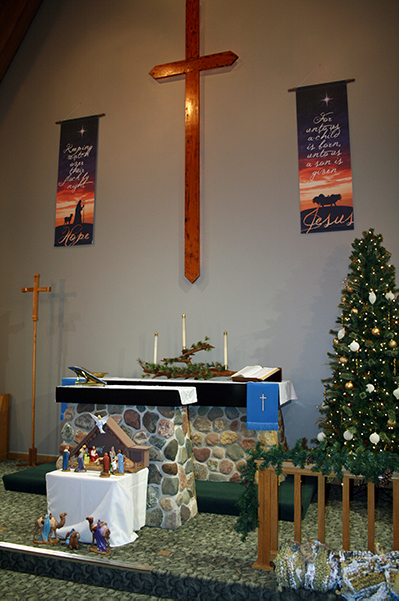 Supported by all churches in the local communities, based in Eagle River, WI. Home Visits: Scheduled on an as needed basis. Other local organizations serving the community.